Sigil of the Empty Throne ($0.40) Price History from major stores - Conflux - MTGPrice.com Values for Ebay, Amazon and hobby stores! 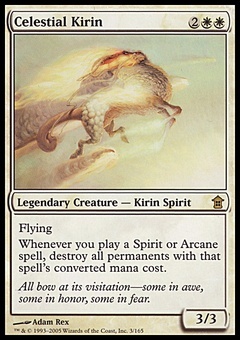 Card Text: Whenever you cast an enchantment spell, put a 4/4 white Angel creature token with flying onto the battlefield. 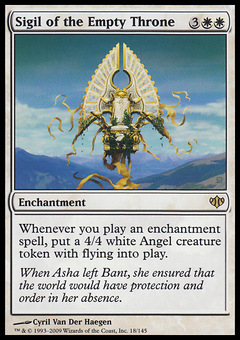 Flavor Text: When Asha left Bant, she ensured that the world would have protection and order in her absence.